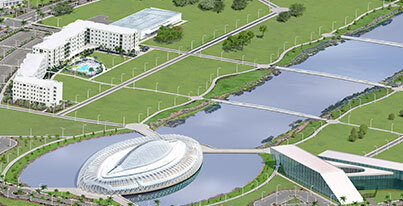 Florida Polytechnic University students are approved to use Florida Bright Futures Scholarships (Florida Academic Scholars and Medallion Scholars), as well as other forms of state scholarships and grants. The Office of Financial Aid at Florida Poly will be your point of contact for any questions and concerns about your awards. We are requesting that ALL students using their Bright Futures Scholarship in the upcoming school year return to their Bright Futures application and add Florida Polytechnic University as their school of choice for sending scholarship funds. Until you have chosen Florida Polytechnic University as your primary school, we will be unable to receive your scholarship funds. Please use this website to make your changes. Students must maintain a minimum GPA in order to be considered for renewal in the following academic year: 3.0 for Florida Academic Scholars; 2.75 for Medallion Scholars. Students are required to repay the University for any award hours for courses that have been dropped or withdrawn. Florida Poly will not award any future Bright Futures awards to the student until these funds have been paid back to Florida Poly. Students must be attending at least half-time (6-8 credit hours) to be eligible for their Bright Futures award. Please be aware that, as of 2012-2013, Florida Gold Seal Scholarship recipients are only eligible to receive the Gold Seal funding at a vocational or technical Institution. Florida Poly is unable to award Gold Seal for our students, as we are not categorized as a vocational or technical institution. For more information on your Bright Futures award, or on our prospective students, please review the State of Florida’s Office of Student Financial Assistance page.